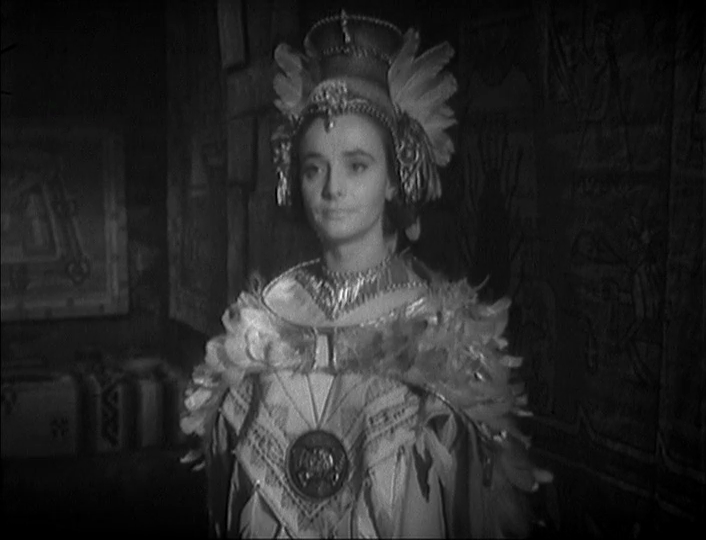 Synopsis: After leaving the TARDIS, Barbara emerges from from the tomb of Yetaxa, a priest of the Aztec people. 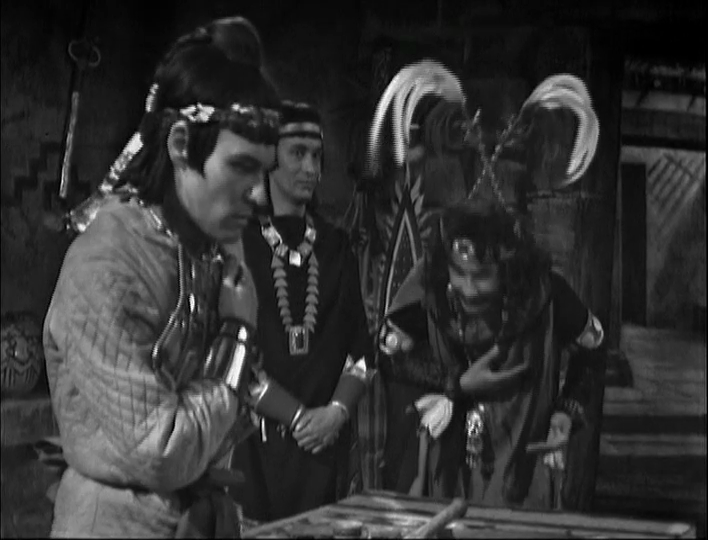 The Doctor, Ian, and Susan are mistaken for Yetaxa’s servants. This is second1 historical story. The original plan for Doctor Who was to have The Doctor finding themselves on alien worlds and in Earth’s past. 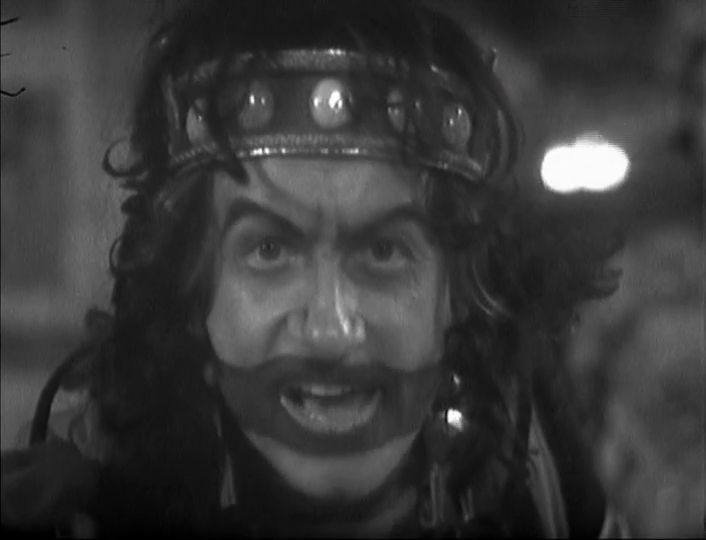 This isn’t something that lasted longer than William Hartnell. You can’t rewrite history! Not one line! Whether her simplistic outlook on human sacrifice or her simplistic outlook on the Aztec chance of survival if their culture were slightly modified is ridiculous, especially as it comes from a history teacher. I do have to remember, though, that she is British, and it is the ’60s. The British still have some belief in their defunct empire, and it fits that she would look down her nose on the Aztecs, and know what’s best for them. However, she and her deception are going to be caught by Tlotoxl who is adamant that Barbara is not actually Yetaxa, but instead an impostor. 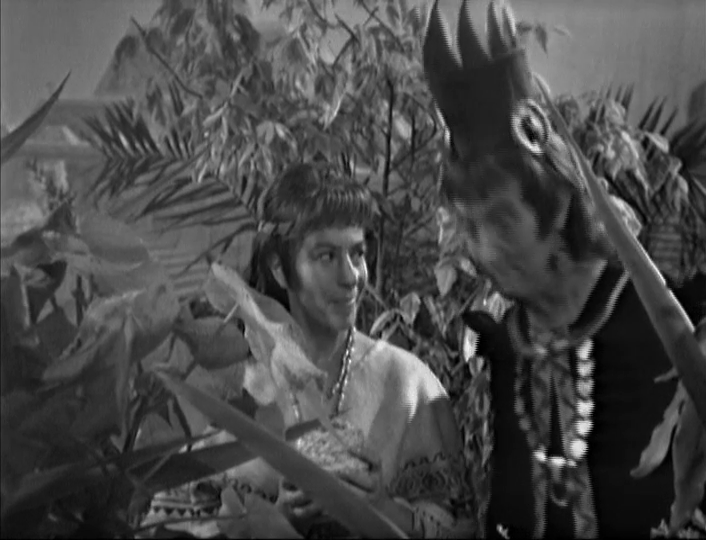 In one of the most ridiculous moments in Doctor Who history, Tlotoxl breaks the fourth wall, stares into the camera, and tells the audience that he knows of their deception. While the regular cast of the show seem to be very comfortable with acting for a camera, the supporting cast in this story are very theatrical. They project large and they play to the back of the house. It creates a very different style of television, but it oddly works in this story due to the theme. Being an historical play, the characters take on this very Shakespearian style. I think it helps that the show was shot live to tape. As in, they rehearse for days, then record the episode pretty much in order and live. At the time, the director is in a booth switching cameras and editing live. I don’t think that these actors could make it on current Doctor Who where it is shot like a film. One of the more interesting aspects of this story is that it is the first time, and until the 2005 relaunch, the last time we see The Doctor with a love interest. One of the old ladies who is retired takes a liking to The Doctor and he to she. As someone who doesn’t know much about the Aztecs, I can’t speak to the historical accuracy of “The Aztecs.” Perhaps someone can in the comments. What I find interesting about this story is how well they weave education into the story. It’s truly and entertaining and fun story. Perhaps the best of the show, so far. In addition to its entertainment value, it shows a really good, and brief outline of Aztec culture.